The new Hulu drama Castle Rock embraces the legacy of Stephen King. In its opening moments, the warden of Shawshank prison (the setting of the 1994 drama The Shawshank Redemption) commits suicide. Later, when officers investigate an unused section of the jail, they quickly find a character played by Bill Skarsgård (who scared millions of moviegoers as Pennywise in last year’s hit It). If that’s not enough for King’s devoted fans, one of the other main characters here is played by Sissy Spacek, who played the title character in the cinematic adaptation of Stephen King’s Carrie. 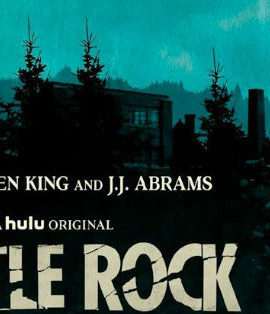 There are a lot of King references here and the show takes full advantage of that, painting a stark portrait of Castle Rock, a setting often used by King in his stories. Creators Sam Shaw and Dustin Thomason load the first few episodes with mysteries that should please King fans. A mysterious suicide. A secretly-imprisoned youth. A character who once disappeared in the freezing cold only to reemerge days later with no story to tell about his whereabouts. There are plenty of knots here that the showrunners will likely unravel in the episodes to come. Deaver (André Holland), a lawyer who represents the mysterious prisoner, returns to town and it turns out he’s a mystery upon himself. Years earlier, he disappeared in the midst of winter for over 10 days in 1991. After his father was injured in a mysterious accident that may have involved Henry, Henry was found standing on a frozen lake with few memories of his experiences. The plot brings up a variety of unanswered questions and that creates a Lost-like atmosphere for the characters to inhabit (O’Quinn’s appearance in a key role makes that comparison more astute). With prison guards seeing visions and strange happenings surrounding many of the main characters, it seems obvious that several characters are hiding things. Part of the excitement here is watching these mysteries unfold. As one of the characters even notes, “Evil outlasts us all.” And it seems like evil has found a permanent residence in this creepy community. Many of the core mysteries of the program work but there are times when it seems like the program is more interested in the mysteries themselves than the characters. In the show’s first episodes for instance, the overall narrative doesn’t come together as neatly as one would hope. There are certainly strong elements here — including the mystery behind the imprisoned man — but not everything offers the same kind of narrative drive. In the program’s early episodes, Skarsgård is an obvious standout in the cast. The actor who taunted youngsters as Pennywise in It offers a powerful mysterious aura to the program. Even with such limited dialogue, his character — and this is partly because so many people seem fearful of him — really stands out in a large cast that also includes Sissy Spacek, Melanie Lynskey and Scott Glenn. Other mysteries move the plot forward but none of them seem as truly enigmatic as the one surrounding this prisoner. 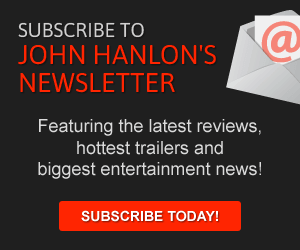 In the episodes to come, one hopes that Castle Rock will keep building up its world while embracing the great cast of characters who inhabit this world.